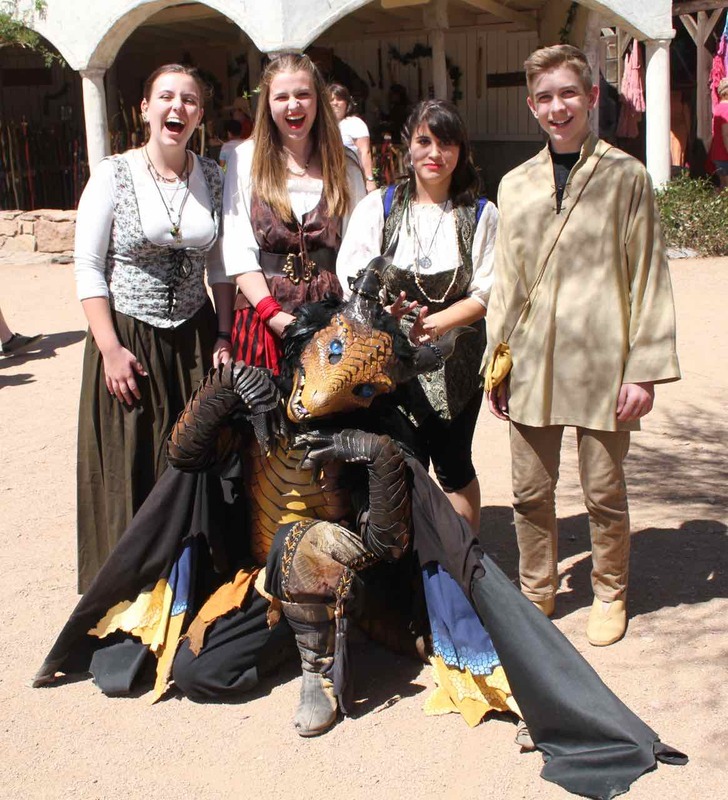 See what’s new this year at the Arizona Renaissance Festival! Huzzah to all my fine readers! 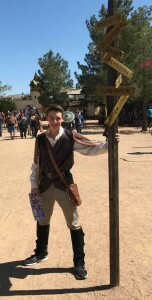 Those of you who checked in on my post at our sister site, www.mycrazy8.com, will have found some fun information on this years Arizona Renaissance Festival. 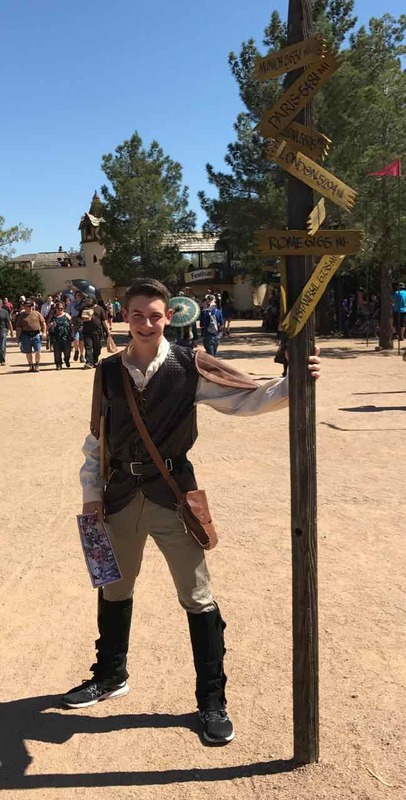 I wanted to add a few fun facts to that post as my family and I were able to attend once again this year. There were so many new experiences offered this year and I wouldn’t want you all to miss out on any of it! There is a special offer at the end of this post that you won’t want to miss! So read on! Hope you enjoy and take your own family for some amazing experiences of your own! This weekend is the last weekend of this annual spectacular medieval spectacle and we want to make sure you don’t miss out! Don’t be shy! Get in on the fun and dress up for the fair! 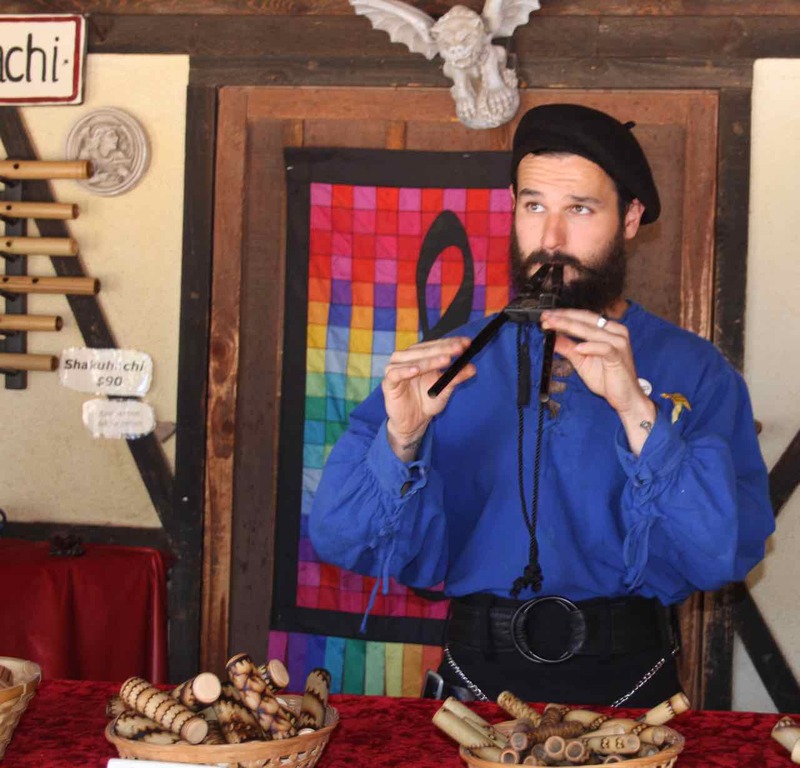 You won’t regret it as the artisans and performers will heartily welcome you in on the merriment! First of all, I would like to second my earlier advice to fully embrace the time period by dressing up as your favorite Renaissance character. Don’t have a costume? No problem! Near the entrance of the fair is a wonderful little boutique where you can rent your costume for the day! There are lots of sizes and fun character themes to choose from. It makes it super easy and convenient as well as exceptionally more fun! Costumes are available for rent at the entrance of the Fair to help everyone fit right in with the fair folk! A couple of new items we tried this year included some of the food items that are both old and new. If you are curious as to which items are the best on the menu, we have tried many but have yet to find the equal of the “steak on a stake”! Well worth saving your appetite for! This is definitely the finest food item we have found at the fair! It would be enough for small children to split but older kids or adults with appetites will definitely want their own! We sampled the Turkey leg (which has always been a favorite) as well as the corn on the cob which were both wonderful. The corn was especially popular with my kids. A new item we discovered was the frozen orange! Not sure exactly what goes into this one but it consists of an actual frozen orange with a frozen icy orange-flavored coating that is absolutely addictive as well as refreshing on a hot afternoon! We shared one and ended up getting another very quickly! Definitely going to make our “must have” list next year! 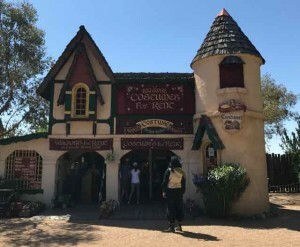 And no visit is complete without a stop at the chocolate shop located near the entrance…we highly recommend the chocolate strawberries! The line might be long but it is worth the wait! Plus, you get to be entertained by Captain Drake, the pirate, while you wait! Don’t forget to stop in on the fairies as well! Twig and her sister, Juniper, will surely delight every child with an eye for magic! Of course, you have heard of the newest exhibit of mermaids…yes, you read correctly…MERMAIDS! These are live, swimming, performing mermaids that not only swim for show but interact with your kids both under the water and above it! If you have any little mermaid wann-bee’s out there, this is a must see exhibit. It was exceptionally busy though. We were a little slow making our way back to this exhibit and by the time we arrived, it was about an hour wait to get in. So I would highly recommend you make your way back to this exhibit FIRST before you dally anywhere else in the fair to avoid long waits! But if you have to wait, the pirates in attendance are MOST entertaining! Pay attention though, they LOVE to give oblivious passerbys a little trouble! Captain Drake is always to be found lingering around the mermaid pools! He’s quite the scoundrel so watch yourself! We visited one of the braiding stations called “Twisted Sisters” and were blown away by the talent and service here! Very friendly ladies, very gentle on the hair (for those with sensitive heads, this is a must!) and extremely talented stylists! They use real flowers in your hair which just adds to the magic of the ambiance! 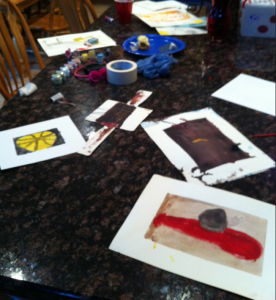 Check out some of their handiwork in the photos included here! Meet Tom Selectomy! 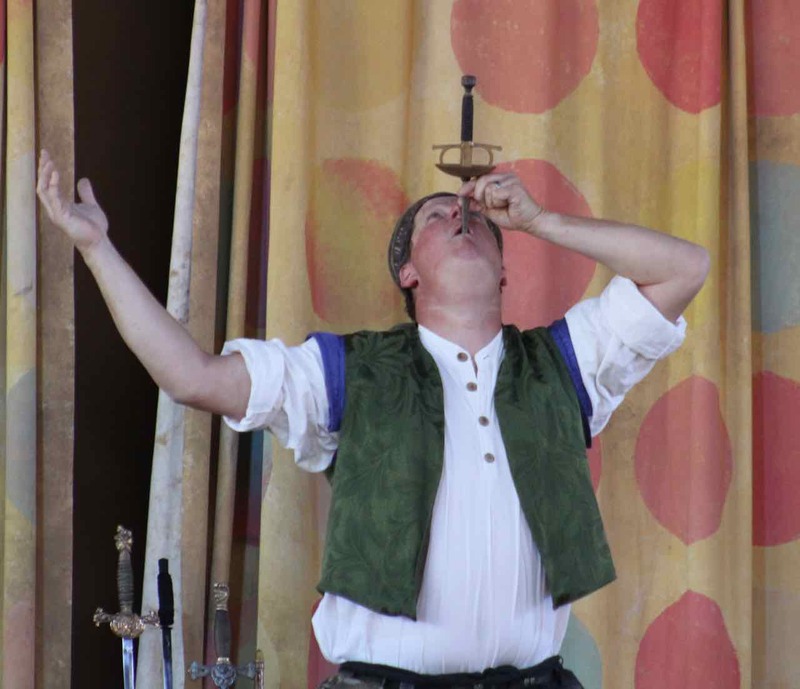 He is a crazy, sword swallowing daredevil! Don’t forget the Sword Swallower! This show is definitely not for the delicate stomachs but it is quite amazing to behold! Of course, no visit to the fair is complete without a stop at the weapons shops! There are many available throughout the fair and I highly recommend shopping around as the pricing will vary, in some cases dramatically. This applies to most of the artisans in the fair that have duplicate offerings. We found that the further back into the fair we ventured, the more reasonable the pricing became so don’t be shy about visiting all the artisans…you will not only find different pricing but differing styles, quality and materials. Plus, every artisan is in full character and are so much fun to interact with! They are exceptionally knowledgeable about their trades and love to share their discoveries, wisdom and expertise with all who are interested! The weapons shops are particularly entertaining because you can even get them to divulge secrets behind the proper handling of each weapon and how it was used! My boys are particularly attentive during these interactions! For those interested in the actual process of weapons-forging, make sure you stop by the blacksmiths shop near the mermaid tank! See firsthand how weapons came into being and ask questions of these very knowledgeable artisans. 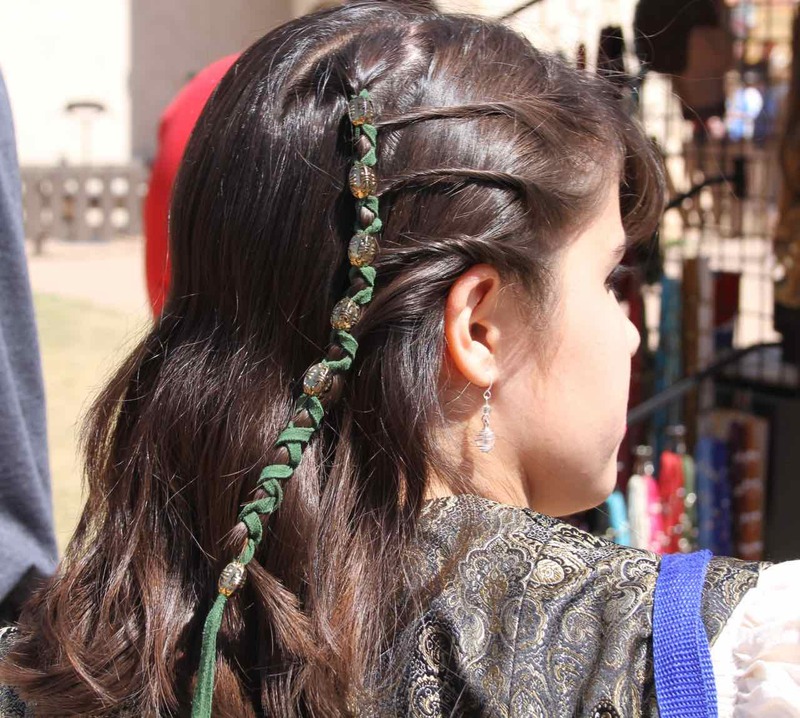 We brought our hair leathers back this year and the Captan treated us to some free braided coifs! One of the artisans we discovered last year was the beaded leather braiding shop. Those of us who have long hair but are “braiding-challenged”, this was a unique and super fun discover! They are beaded leather straps that you can use to easily braid your hair in seconds with decorative accessories. Super easy to use and super cute! Plus, any year you return to the fair with your beaded leather, they will style and braid your hair for free! This is quite a deal since most braiding stations in the fair will cost you upwards of $20 or more! He made good on his offer with four of us this year and it was a wonderful treat! We also were able to meet some new characters this year! One especially fun character was the ever-elusive young dragon, FireFlicker! He is exceptionally hard to find and considered quite the find to capture him on camera! He’s always on the lookout for shiny objects to add to his dragon hoard! Try to catch FireFlicker, the friendly dragon! He is quite illusive but well worth the hunt! A tip on attending the joust…be sure to arrive at least 30-40 minutes early for your joust of choice as seats fill quickly (especially if you want one in the shade!). The first joust of the day is merely exhibition. Skills of dexterity and horsemanship as well as sword and lance handling. Very tame for the feint of heart! But those wishing to see a match to the death should be sure and make the final joust of the day. This joust will see only one winner and is much more violent as all the knights are pitted against one another in defending their honor. Of course, they still maintain the humor and light-heartedness and all the “dead” knights rise once again at the end, much to the cheers of the crowd! 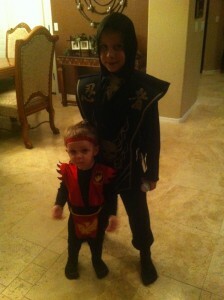 But if you have sensitive little ones, stick to the earlier joust. If you would like to congratulate your favorite knight, get to know his horse or ask questions about the more technical aspects of the joust, be sure and stop by the paddocks after the performance as each knight will be available to sign autographs and talk to the crowd! 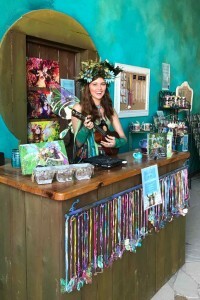 Make sure you ask for a demo of the dragon flute! You won’t be disappointed! Some of the new musicians we discovered included the traditional dulcimer. This is a harp-like instrument played with a pick. It is absolutely haunting to listen to and very fun to watch a master at work on the strings! We encountered this talented fellow near the mermaid tank. 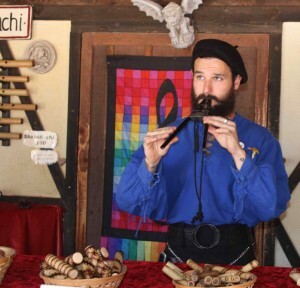 But you haven’t heard real magic until you’ve visited the flute shop and seen what they can do with the “dragon flute” and the “fairy pipes”! Ever seen a wooden saxophone? We have! And so can you if you stop by their store for a demo! 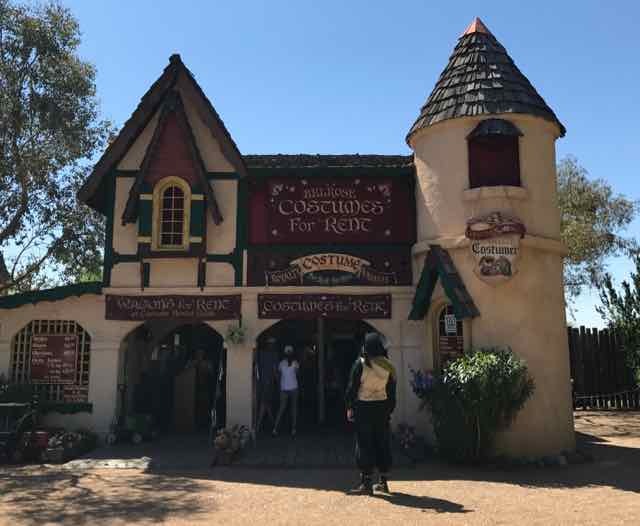 If you haven’t visited the amazing artisan-filled Renaissance Festival yet, don’t worry…there’s still time! The fair runs through April 2, from 10:00-6:00 (rain or shine) Saturday and Sunday. 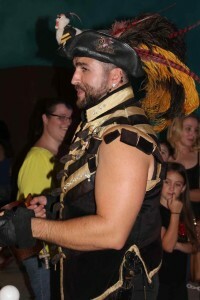 Tickets can be purchased online at http://www.royalfaires.com/arizona/. But there is a special contest going on right now to get a free adult ticket with VIP parking over at our sister sites facebook page https://www.facebook.com/MyCrazy8/! Jump on over there and get entered! Contest winner will be announced tomorrow! Have you been to the fair? Share your experiences below! There are so many things to see that we’d love to hear what new discoveries YOU made! Huzzah! August holidays you might not have known about! 8 Sneak Some Zucchini onto Your Neighbor’s Porch Day – now that’s nasty! 14/15 V-J Day – which date do you mark the end of WWII? Now that we got ya started, hop on over to our “Create Your Own Calendar” page and get going! We’ve got lots to do in August! Campout Time with the kids!…Perseids Meteor Shower on its way! Ok, you thought all the summer fun was over but we’ve got one more big science event for you and your kids to enjoy a late night together! The Perseids Meteor shower will be making it’s big annual appearance in the western skies August 11-13th this year! You can challenge your kids with a little astronomy by having them find the Perseus constellation…that’s where the show is supposed to start. But according to experts, it will be visible in various parts of the sky so keep a watchful eye! One of my favorite astronomy apps is called SkySafari. It has been a source of great excitement for my kids on our star gazing nights because it uses your phone/tablet’s compass/gyroscope to be able to view the sky in real time and identify constellations just by pointing your tablets/phones camera towards the sky! It scrolls across the sky as you move it, labeling every celestial body you see! It will not destroy your night vision either, using the special night vision setting. Check it out in App Store. They are currently running a sale on their full version but the “lite” version really works just awesome and is what we have used for quite some time. Have fun on your meteor watch! Ask your kids teachers about extra credit they might be able to earn by describing the event in class! 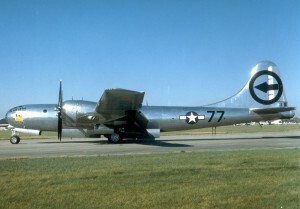 Commemorative Air Force's Boeing B-29 Superfortress bomber, FIFI, first flown in 1942 and beginning active service in 1944. Best Known as the aircraft whose missions over Japan helped bring about the end of WWII. For those of you who have kiddos that are seriously into airplanes or, in my case, World War II airplanes specifically, you need to know about an event at Mesa Gateway Airport starting Thursday, February 28th and running through Sunday, March 3rd! The Commemorative Air Force’s Boeing B-29 Superfortress bomber (the ONLY remaining flight ready example of this aircraft in the world!) will be visiting this airport along with another famous World War II bomber, the B-17 Flying Fortress, Sentimental Journey, and a P-51 Mustang, Man O’War! For those WWII aficionado’s out there, some of the other famous aircraft on tap will be the C-45 Expeditor, a Navy SNJ and a Navy N2S! The aircraft will be on the ramp at Gateway Aviation Services, 5803 S. Sossaman Road in Mesa from 2:00pm-6:30pm on February 28 and 9:00am to 6:30pm through March 3rd. Admission is $10 per person; $20 for families with children 17 and under; and free for children 10 years old and younger. Cockpit tours are available with admission and rides in the airplanes can be purchased for an additional $65-$595. Please note there may be a discount if purchased online. For more information, visit the Mesa Gateway Airport press release. Laveen is having their Laveen Art League and 2nd Friday Community Market This Friday, December 14th from 6:00pm-9:00pm in the South Mountain Community College – Laveen Campus courtyard. The Laveen Art League will have their on campus gallery open for viewing of art from the majority of Laveen Art League members. The artists that will be hanging in two rooms work in a variety of mediums, such as papercrafting, jewelry, photography, mixed media, painting, drawing and more. On Friday December 14th, there will also be children’s activities and crafts, like a “Seek and Find” activity as well as an “Art Petting Zoo”, Music and Puppetry performances, Paint and Take and a visit from Santa Himself! Fantasy Face will be face painting at this event so come join us for some holiday glitter! Fantasy Faces (courtesy of yours truly!) 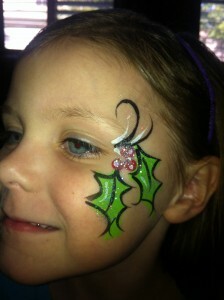 will also be hanging out with Santa to paint faces and bring some holiday glitter to your smile! 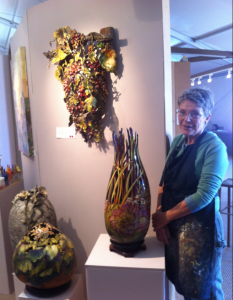 So stop by and get a unique work of art you can wear all night long! Some other vendors you might recognize are Kettlecorn, Native American Frybread, It’s a Divine Bakery, Double L Originals, The Spirit Box, Native American Jewelry (Rosina), Rider’s Ranch, Maricopa County Stormworks and City of Phoenix, Hot Dog cart, 4 Elements, Fantasy Faces, Joyce, Bethany and Capiz by the Sea! Outside the gallery will be a wonderful selection of food and craft vendors, with beautiful handmade crafts and delicious food. While some do take debit/credit, you may want to bring some cash with you for when you find something you love! This is a not to be missed holiday event! The location is South Mountain Community College Campus at 5001 W Dobbins Road, Laveen, AZ 85339. In search of fall colors? We’ve got some hikes that are sure to give you a glimpse! Let’s start with Flagstaff. The Kachina Trail is right next to Humphrey’s Peak (the highest mountain in Arizona). From Flagstaff, take U.S. 180 northwest 7 miles to Snowbowl Road. Turn north and go 7.3 miles to the large dirt parking area just outside Arizona Snowbowl. The trail begins at the south end of the parking area. The views in any direction are impressive and the Aspen forest is a joy. This is a moderately difficult hike. Sedona has some beautiful options as well. Boynton Canyon is considered one of Sedona’s most scenic canyons and a powerful vortex site. The canyon has lush riparian vegetation, towering red sandstone formations, voodoo rock spires and an ancient Sinagua Indian cliff dwelling dating back to 1,200 A.D. The view from these ruins is stunning. The sandstone and limestone sculptures loom 1,000 feet high on both sides. At the mouth of the canyon sits Enchantment Resort! Secret Canyon lies within the most popular area for hiking around Sedona, the Red Rock Secret Mountain Wilderness, centered around Dry Creek a few miles northwest of town. To get to the lower trailhead, take I-17 from Phoenix north to exit 278 onto highway 179. Turn left off the exit ramp and drive west into Sedona. At the “T” Intersection, turn left onto Highway 89A. After a few miles, turn right at the light onto Dry Creek Rd. and drive 2 miles to a right turn onto the unpaved Forest Road #152 at the sign for Vultee Arch (quite bumpy). Drive another 3.4 miles to the signed Secret Canyon parking area on the lefthand side. To get to the upper trailhead, take I-17 north to Flagstaff, head wes on I-40 to the first exit (Flagstaff Ranch Road, exit 192). Turn left at the bottom of the exit ramp, drive a short distance to a “T” Intersection and turn left. After a couple miles, you’ll come to a stop sign, turn right onto Woody Mountain Road (Forest Rd. #231) which becomes a well graded dirt road shortly thereafter. Drive for 13 miles, then turn right on FR #538. Another 5.5 miles will bring you to an intersection and sign pointing right for Dorsey Spring Trail (1 mile), Kelsey Spring Trial (2 miles). Turn left and remain on FR#538 until it ends at the Secret Mountain Trailhead. Usery Mountain is located at 3939 N. Usery Pass Rd. in Mesa, Arizona. There are two trails at this area. The Pass Mountain trail circles the mountain and is 7.5 miles round trip, while the Wind Cave trail hikes up its face and is about 3 miles round trip. Most people head for the Wind Cave Trail. To get there, take McKellips east, turn north on Ellsworth (turns into Usery Pass Rd.) and follow that road to the entrance of Usery Mountain Recreation ARea. Turn right to enter. Park fees are $6.00 per car. Perlata Trail in the Superstition Mountains is a great family-friendly hike. To get there, follow the US60 to Peralta Road which is just east of mile post 204 and turn north on Peralta Road. At 5.5 miles from US60, follow the sign and take the left fork up the hill to the Peralta Trailhead. Fossil Springs hike is a fun hike where if you go far enough, there is a rope hanging from a tree and you can swing from it and land in the water! To get there, first get to the Strawberry area. Turn west on Route 708 (also known as Fossil Creek Road). The road is paved for 2.5 miles then becomes unpaved. Stay on FR708 to the 81.1 mile point where you will see the signed road to the trailhead to your right. Turn off on this access road which has some washouts, but can be driven by any car that has reasonable clearance. You will reach the loop parking area at 82 miles. We hope these give you some fun family options for enjoying the cooler temperatures and hopefully give you a glimpse of Arizona’s fall! Make sure to make your child a calendar to remind them of the upcoming hiking adventures!